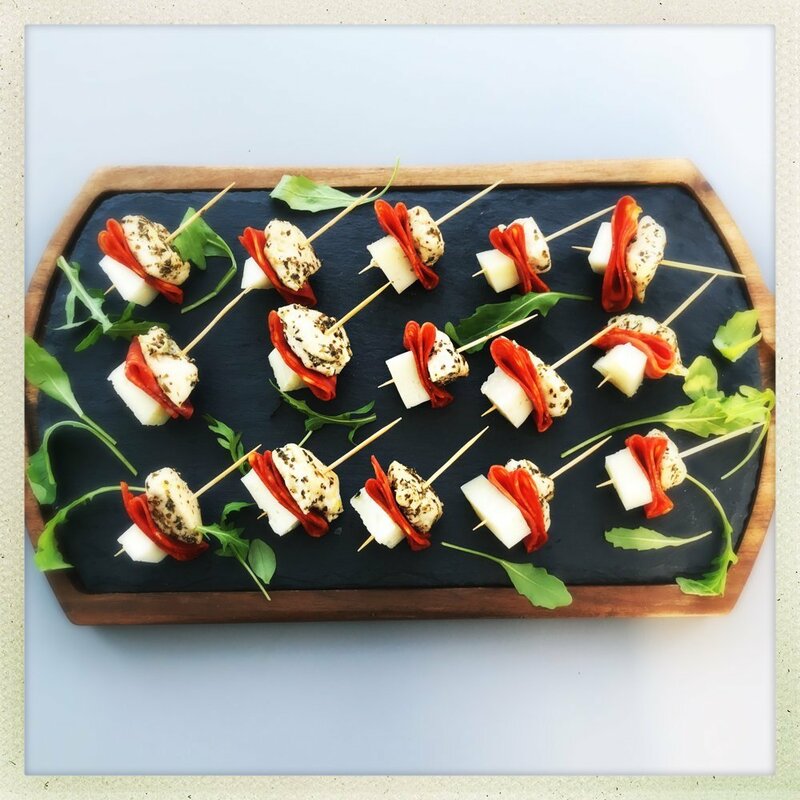 ‘Tis the season of party food and nibbles and if you’re making your own, then these chicken and chorizo bites are super easy, taste good and look pretty. And pretty party food is always a good thing. You can make them ahead and just leave them chilling in the fridge until you’re ready to bring them out. Tasty, meaty little Italian style party bites. Heat the olive oil in a non stick pan, toss in the chicken pieces and dried herbs. Stir fry briskly for 8-10 minutes until the chicken is cooked through and no pink remains. Then set aside to cool. 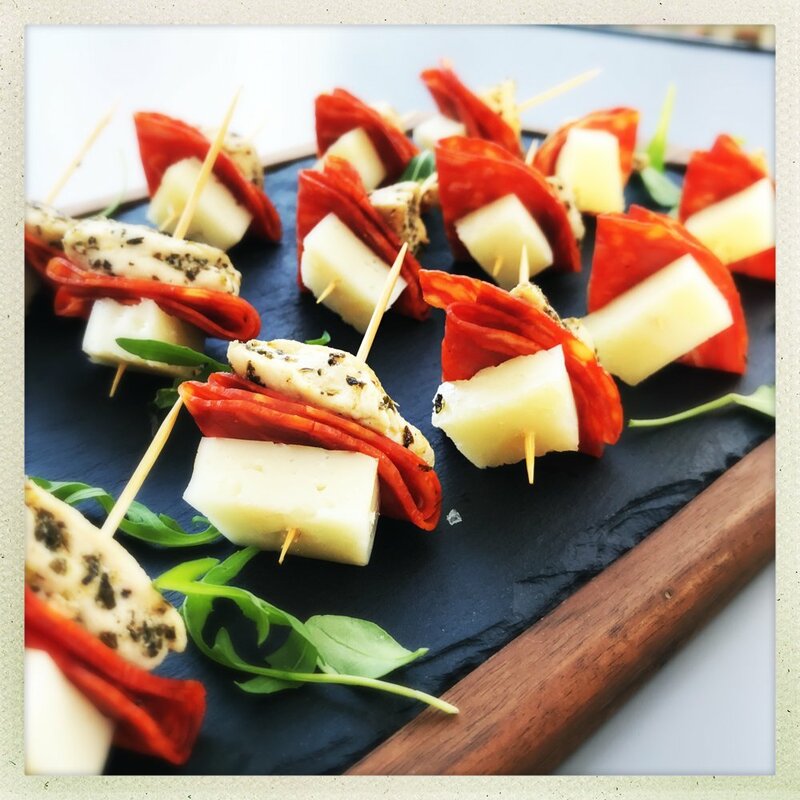 Once cool, thread the chicken, chorizo slices and Manchego onto the cocktail sticks and arrange on a platter. If you like decorate with basil or rocket. switch the chicken for king prawns. use mozzarella instead of Manchego. serve as nibbles at parties. add a little hummus or aubergine dip alongside. make as part of a Christmas buffet.